I found a bunch of Almay and Physicians Formula makeup in the Clearance section of my Walmart for $3-$5. 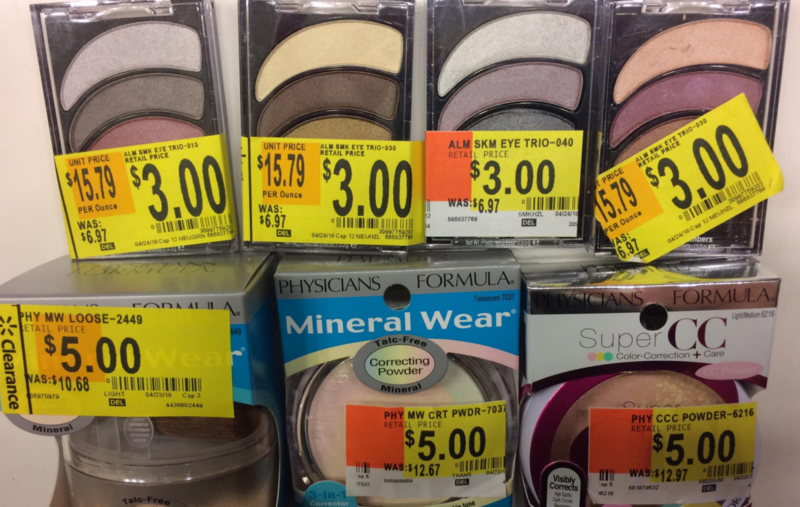 These Physicians Formula items are normally $10+. This may not be available in all stores.